Second time seeing them and even though I was farther from the stage this time it was equally as great and possibly better. Matt has energy for days and is AMAZING on stage. I love Cage The Elephant!!! Top notch. 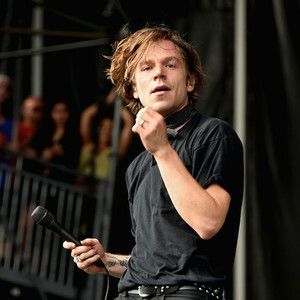 Cage the Elephant are performers, even if you don't know their songs you will enjoy their performance.This specific tour was an acoustic one, but they still brought the energy. They also had a four piece quartet. They were recording for a live album so you had to put your phone in a pouch that they unlocked for you at the end of the show. One of the best concerts I've ever seen. I loved how it was an acoustic show and nobody had their phones out. It was great and I plan on seeing them again if they come to my area. First off... phone locked up because it was an acoustic recording. I didn't know, therefore no watch. Encore was A cappella. So therefore not really a good encore. Loved the new soft tshirt.! Will see again. words can not express how great this show was! amazing voice amazing entertainers, amazing orchestra! We were second row and it was so worth it. They did two sets with an intermission. crowed banter was great as well. if they ever come again I will not hesitate to go. love the acoustic set. Great concert!!! They came out with lots of great energy and it lasted the entire concert! Would definitely go see them again. UIC Pavillion was a perfect venue... Felt like there really wasn't a bad seat in the house.